Open houses Thursday 6/29 (4 -6 p.m.), Friday 6/30 (4-7 p.m.) & Saturday 7/1 (12-2 p.m.)! 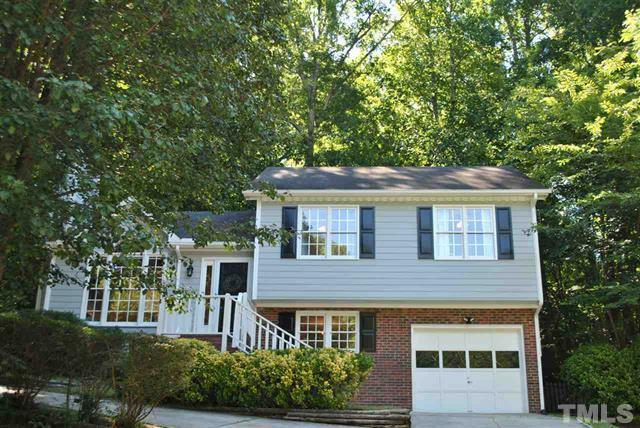 Great home on a wooded lot in the heart of Cary! Open floor plan, updated eat-in kitchen with granite, stainless steel appliances and tile, and a wood burning fireplace in living room. All bedrooms and two bathrooms on the second floor, pull down attic, and a basement with playroom! Updated master bath with garden tub/shower. Huge multi-level deck off kitchen and gazebo for entertaining! Workshop in garage. Directions to 838 Madison Avenue Cary, NC 27513 are available on Google Maps. More pictures and information can be found on the MLS sheet for 838 Madison Avenue Cary, NC 27513. Please visit our agent this Thursday, June 29, from 4-6 p.m., Friday, June 30, from 4-7 p.m., or Saturday, July 1, from 12-2 p.m. to see this one in person, or contact us for more details!